Whether you build sailing scale warships, aircraft carriers, tugs, or speedboats etc. Discuss your models here. Anything RC goes..
R/C ...WHAT TYPE OF GLUE SHOULD BE USED??? What Would It Take To Build This Interior? 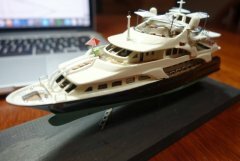 What do I start on RC Sailboat electronics wise?